If passed, it would mean those North of the border would be able to cast their vote for the first time. TAOISEACH ENDA KENNY has announced that the Government has decided to hold a referendum which would allow citizens living abroad to vote in presidential elections. Kenny added that it is an opportunity to make the country stronger by allowing all citizens resident outside the State to vote in future presidential elections. The Government will publish a detailed paper later this month to set out the range of options available to give effect to the recommendation of the Constitutional Convention. Kenny said that the announcement was also in keeping with arrangements in place in a majority of countries around the world who provide for voting by those of their citizens resident outside the State. Initial plans for the referendum were announced last year and were broadly welcomed across the political divide. Fianna Fáil diaspora spokesperson Senator Mark Daly said that the right to vote was the most “fundamental right of any citizen”. The campaign group Votes for Irish Citizens Abroad (VICA) welcomed the Taoiseach’s announcement. Spokeswoman Mary Hickman said the group is delighted that the government is “finally taking action” on the Convention’s recommendation. She said: “The vast majority of democratic countries around the world allow their citizens living abroad to vote, and there is no reason why Ireland cannot find a way to make this work. “VICA is campaigning for Irish citizens to be given the right to vote in all Irish national elections and referendums. Email “Referendum to be held to give Irish abroad vote in presidential elections ”. 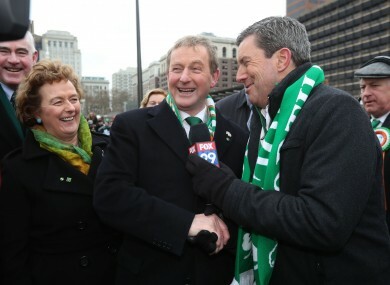 Feedback on “Referendum to be held to give Irish abroad vote in presidential elections ”.